Years ago, the networks would mostly air reruns during the summer months. Those days are long gone and summer is becoming nearly as competitive as the rest of the year. Which TV shows are doing the best? The worst? Cancelled or renewed? Wondering how your favorite series are doing? Here are the season average ratings of the Summer 2018 network TV shows — as of the end of week 46 (Sunday, August 5, 2018) of the 2017-18 season. ABC summer shows (so far): The $100,000 Pyramid, 20/20: In an Instant, The Bachelorette, Celebrity Family Feud, The Gong Show, The Last Defense, The Proposal, Take Two, To Tell the Truth, and What Would You Do?. CBS summer shows (so far): 48 Hours: NCIS, Big Brother, Elementary, Pink Collar Crimes, Salvation, TKO: Total Knock Out, and Whistleblower. CW summer shows (so far): The 100, Burden of Truth, The Four: Battle for Stardom, My Last Days, The Originals, The Outpost, Penn & Teller: Fool Us, and Whose Line Is It Anyway?. FOX summer shows (so far): Beat Shazam, Love Connection, MasterChef, Phenoms, Gordon Ramsay’s 24 Hours to Hell and Back, and So You Think You Can Dance. NBC summer shows (so far): America’s Got Talent, American Ninja Warrior, Making It, Marlon, Reverie, Shades of Blue, and World of Dance. The averages are based on the final national numbers (live plus same day viewing). The demos are typically reported with one decimal place but I’ve included two for more accurate ranking. 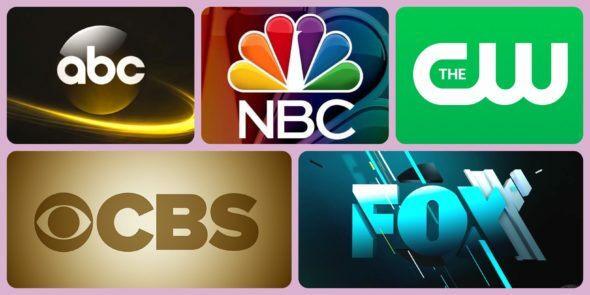 Some of these shows started airing in the regular season but they are included here because a significant portion of their episodes will air during the summer months. Keep in mind that the demo numbers are typically what’s most important to advertisers. Therefore, that’s how the networks measure success. Advertisers typically pay more for ad time on a show that has a higher demo rating. Because older viewers don’t count? No, it’s because younger viewers watch less traditional TV and are harder to reach. It’s also important to remember that ratings are designed to estimate how many people watch a show’s commercials — not the show itself. That’s what advertisers pay for. Want more? You can check out other season listings here. What do you think? Are you surprised by any of the ratings? Which summer shows should be doing better? Well that certainly explains why I never find anything I want to watch on conventional network TV anymore. It’s all just “reality” shows, which I find repetitive, boring, unintelligent, uninspired and uninspiring.